Will Wes Foderingham leave Rangers at the end of the season? Rangers have signed Andy Firth, from AFC Barrow – the club have confirmed. Last week it was reported that Steven Gerrard wanted to bring this former Liverpool youngster to Ibrox after the keeper has been some much promise in the National League. And now that Firth has officially joined Rangers, reports have started suggesting that the club will sell of Wes Foderingham next summer. Foderingham was Rangers’ first choice keeper last season but ever since the arrival of Allan McGregor, the 28-year-old has fallen down the pecking order. 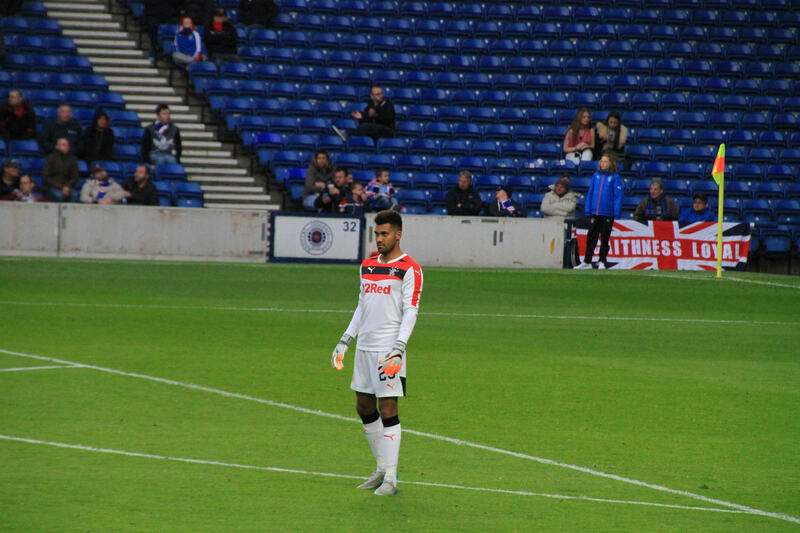 But the manager has now claimed that he does not want Wes Foderingham to leave the club at the end of the season. “I want Wes to stay here for the remainder of the season”, Gerrard said. “I also understand the situation, he’s desperate to be a no.1. I don’t want to say Wes is 100 per cent staying because I don’t know what the next few days will bring. When McGregor arrived at the club during the summer transfer window there were reports that Wes Foderingham could leave the club but eventually, that did not happen. But now that the Gers have as many as four keepers amongst their ranks, it will be really hard to convince Wes that he has a future at the club. More so since the 28-year-old has played just four games during the whole of the first half of the season. Next articleLiverpool suffer three major injury setbacks before they take on Leicester City: Will they drop points again?